This past Sunday, CNN’s “Reliable Sources” suffered its second-lowest rated demo ever with only 59K. According to Nielsen, 12/29/13 was the lowest (54K), which was also hosted by CNN’s Brian Stelter, after taking over the program the previous month. 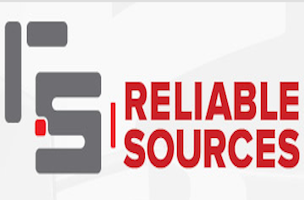 “Reliable Sources” became a one hour program on 2/7/10. In the same time slot, FNC’s “MediaBuzz” delivered 203,000 in the key demo on Sunday, which more than triples “Reliable Sources.” According to Nielsen, on 5/25/14, “MediaBuzz” beat CNN and MSNBC combined by 80%. This after CNN fell to third place in total day viewers and primetime A25-54 demo viewers and falling to fourth place in the daytime demo. See the full numbers after the jump.